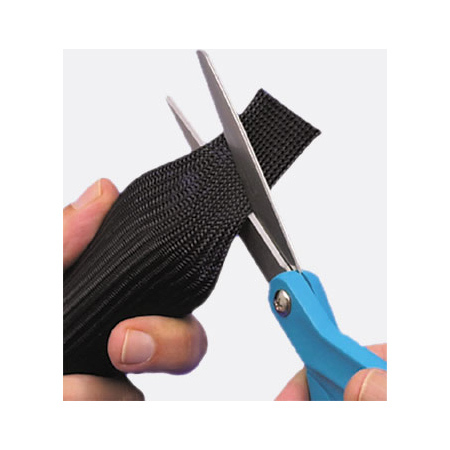 Fray Resistant sleeving is a perfect braided sleeve for field installations since termination can be made with regular scissors (no hot knife required!). There is no need to worry about the material unraveling. 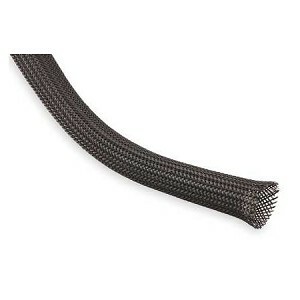 The expandable sleeving is great for use in automotive, industrial and computer applications. 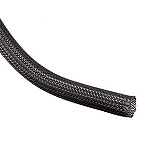 Fray Resistant Expandable Sleeving is also available with a flame retardant composition. This material will self-extinguish quickly and also reduce flame spread to surrounding components. With a melt temperature of 482 degrees Fahrenheit, Non-Fray sleeving meets the following specifications:MIL-202, FAR-25, VW-1 and FR-1. It is also halogen-free. *Any item ordered by the foot will NOT be returnable. Please click the "More Information" tab for additional information. 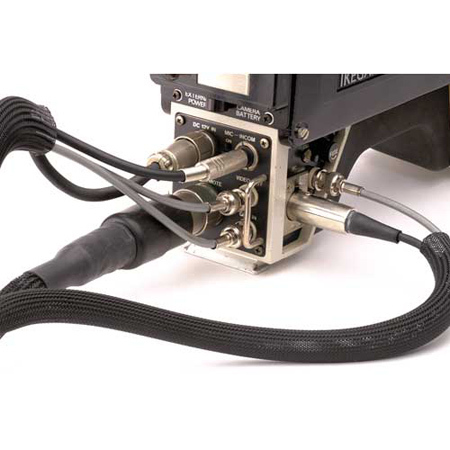 All Spools may have a up to a few splices, per foot orders will not, up to a certain length. If you want a continuous length spool, contact us to see if its possible. Appropriate for use in automotive, industrial and computer applications. I have some special earphone and guitar combo cables that are apparently a little more delicate than standard guitar cables. Just normal wear like stepping on and tripping over the cables creates electrical shorts and requiring constant repair. Your braided wire sleeving is a perfect way to strengthen my guitar cables. Thanks! Used this sleeving in a custom audio snake. Does a great job. Anchoring the ends with electrical tape before heat shrink helps keep the sleeve tight. Lots of expansion room. 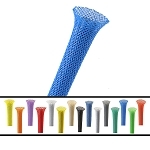 This product arrived quickly and was of great quality. I found that it worked and looked so good that I have made another order for more. My wiring project looks fantastic. Excellent product. It made my project look very professionally done and protects the wiring too.